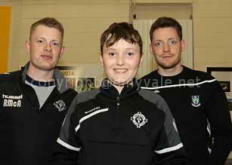 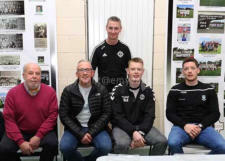 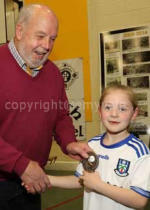 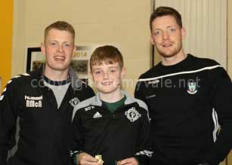 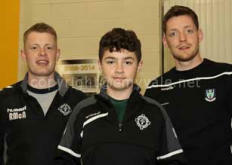 Emyvale Juvenile Presentations 2018: The Emyvale Juvenile Club held its annual 2018 Presentation Night in Corracrin School Hall, on Saturday, January 26th 2019. 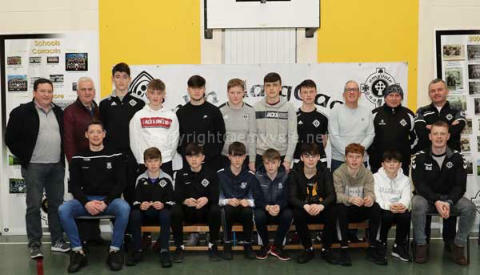 From every aspect 2018 was a very successful year and not just because of the number of Cups won, and I counted six, but also because of the huge numbers of players involved, the great spirit in the club, the excellent support coming from parents and the tremendous work of over 70 volunteers and coaches for the Juveniles during the year. 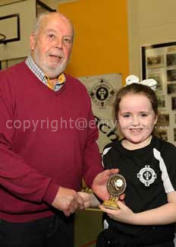 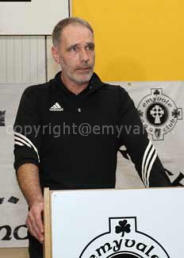 These were all referred to and complimented by Juvenile Chairman, Martin O’Brien, and Club Chairman, Enda O’Brien. 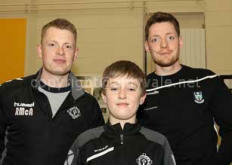 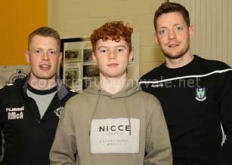 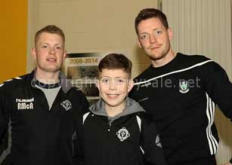 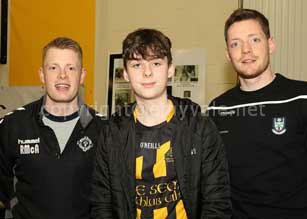 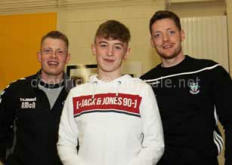 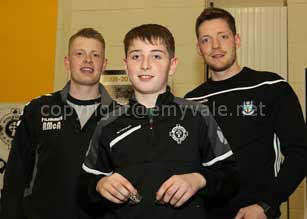 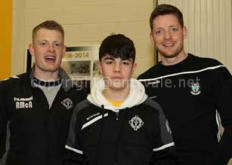 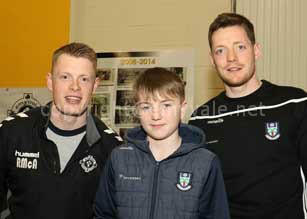 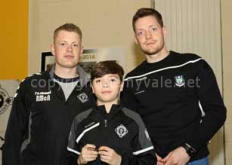 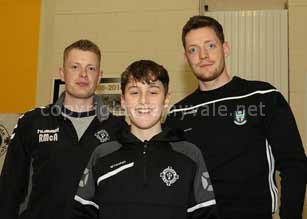 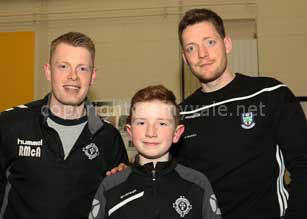 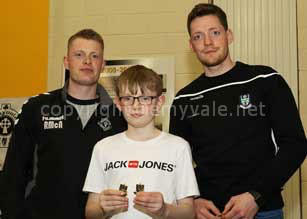 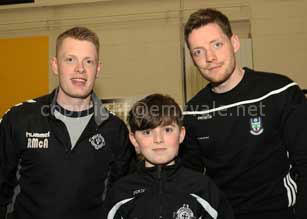 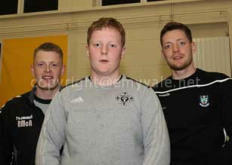 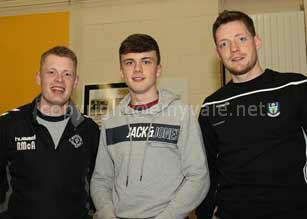 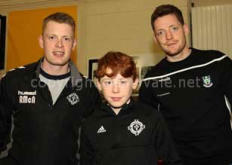 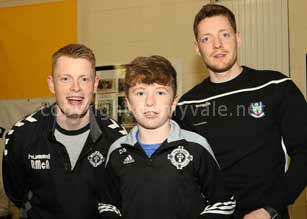 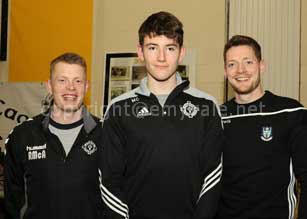 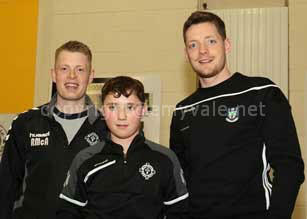 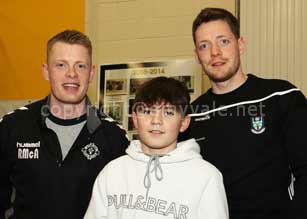 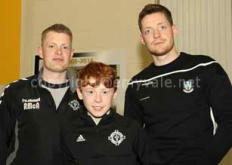 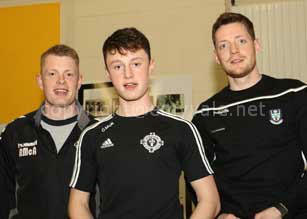 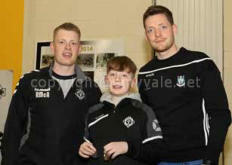 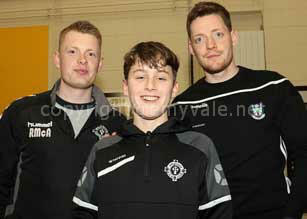 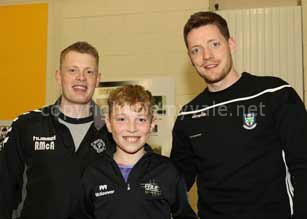 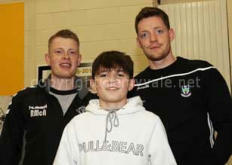 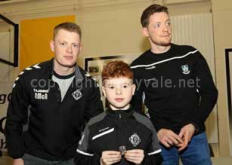 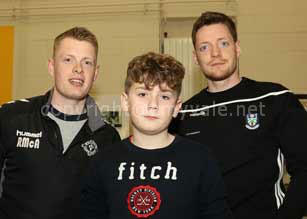 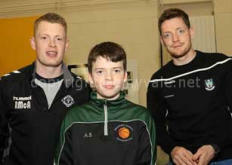 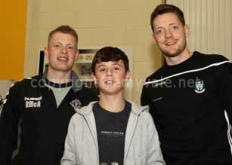 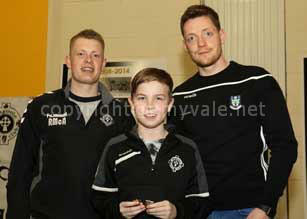 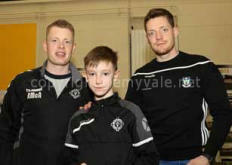 Special guests for the occasion were Ryan McAnespie and Conor McManus, who were given a great reception from a full Hall. 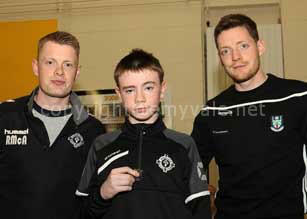 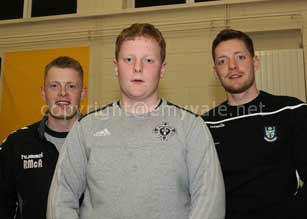 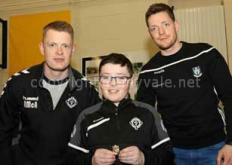 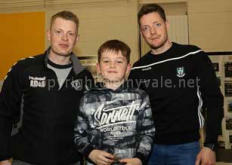 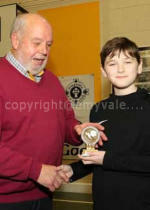 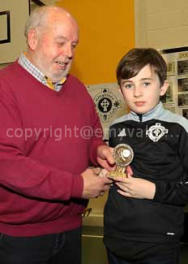 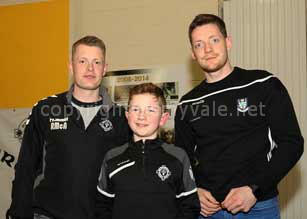 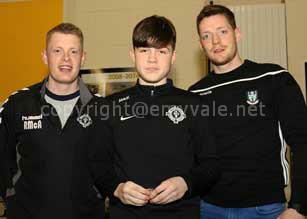 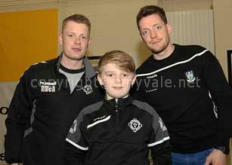 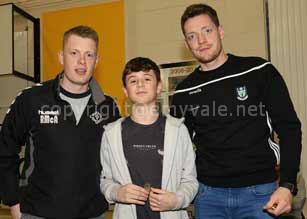 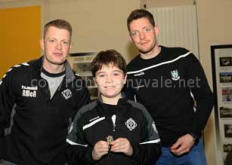 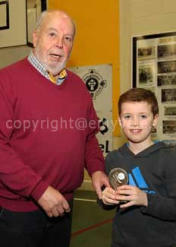 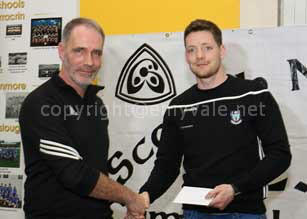 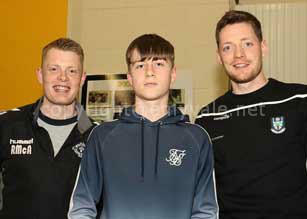 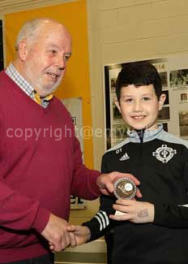 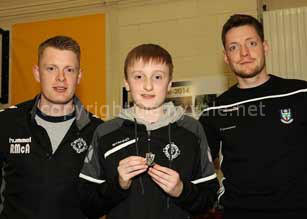 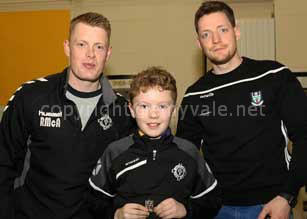 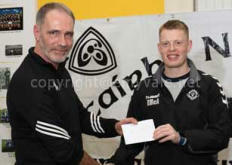 Also present were Juvenile Club sponsor, Glynn Williams from Centa Emyvale, and Declan Forde for the Forde Cup. 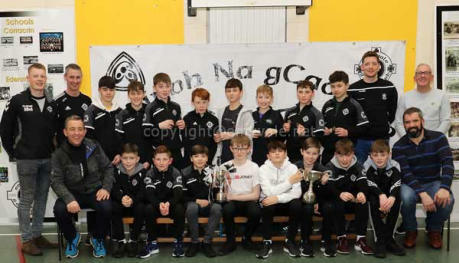 On the night the Trophies for the Forde Cup winners and the medals for the U13 Div6 winners and U13 A team which had double wins in league and championshp. 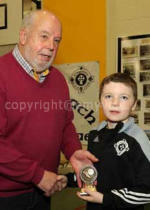 Well done to all for a marvellous occasion and a justly proud one for the Club. 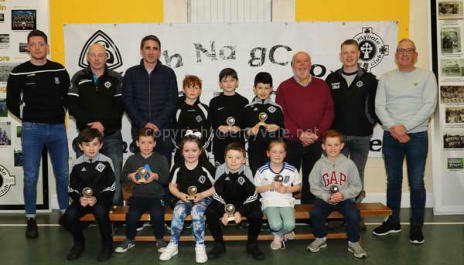 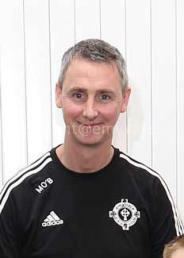 To finish the gathering was addressed by Conor McManus who congratulated the winners and emphasised the importance of parent involvement in encouraging and supporting their players. 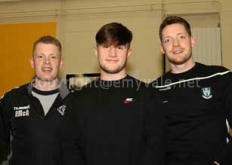 he urged the players to keep training and keep playing sport, even around the house at home during idle moments when they can practice hand-passing and short kicks against a wall. 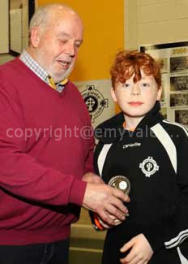 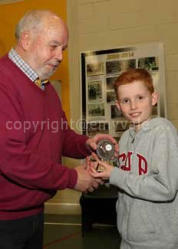 He looked forward to seeing some of them playing for the county in the future. 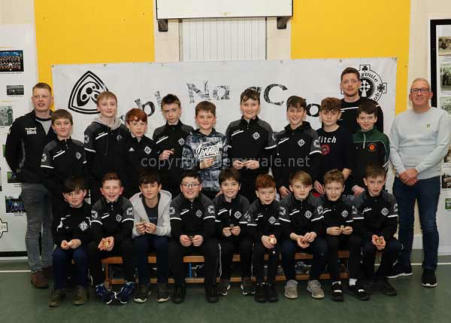 Then a few questions were directed at Conor and Ryan about their training, about when they started and how they started playing football and how they were looking forward to game against Dublin. Then everyone was invited to have some supper but the chatting went on and a picture with Ryan and Conor would be cherished.